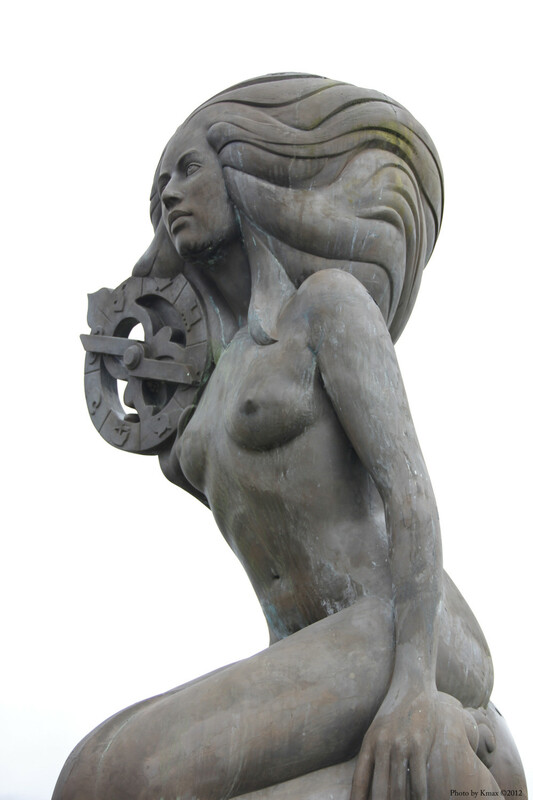 Ganges Mermaid by sculptor Thomas Richard McPhee. Donated by Rotary Club of Salt Spring Island. The inscription reads “Service Above Self”, the motto of the Rotary Club. 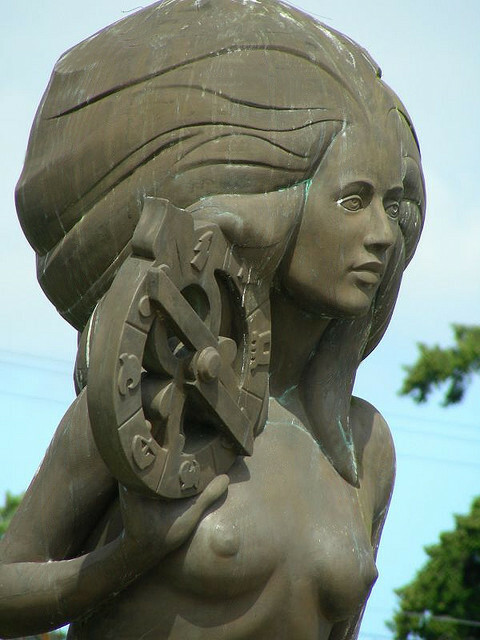 The significance of the sea astrolabe in the mermaid’s right hand is not known at this point. 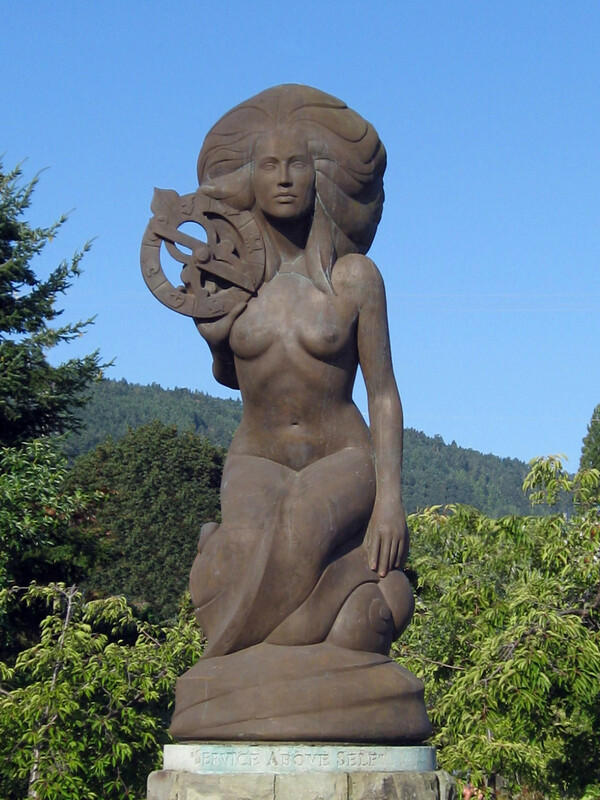 Rotary Club Mermaid of Salt Spring Island. Photo by Ruth Hartnup. Nerissa, Mermaid of Salt Spring Island. Photo by Shawn Schollmeyer. 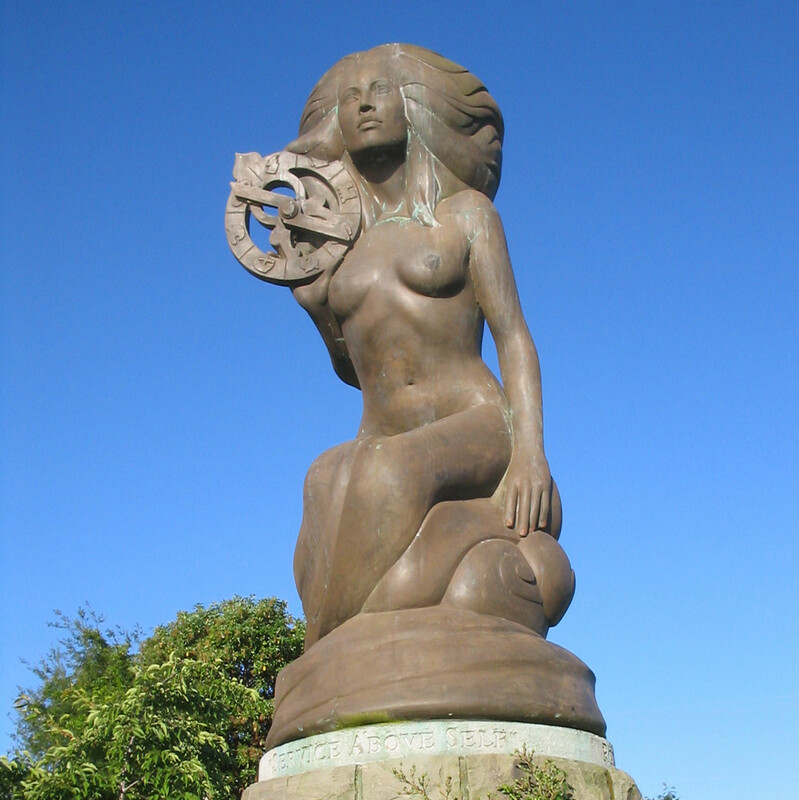 Mermaid in Ganges by sculptor Thomas Richard McPhee. Donated by Rotary Club of Salt Spring Island. Additional images: If you would like to help with additional photographs of this sculpture, please contact us. Photos must be yours, preferably 10 megapixel or better. We can only accept photos if you give us full rights to use them in print and digital media.